If you want to request a withdrawal, log into your SkyPrivate account and go to Payments--->Withdraw. Note that only verified models can request withdrawals from their SkyPrivate account. 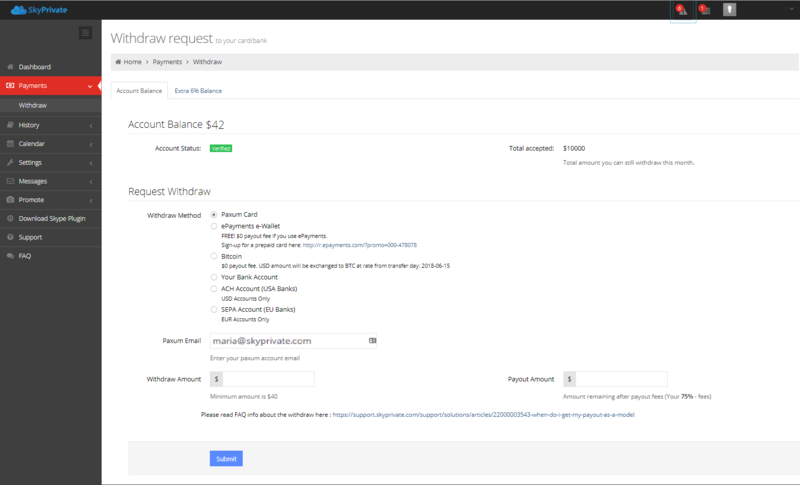 Choose your withdrawal method, the amount you wish to withdraw and click "Submit".